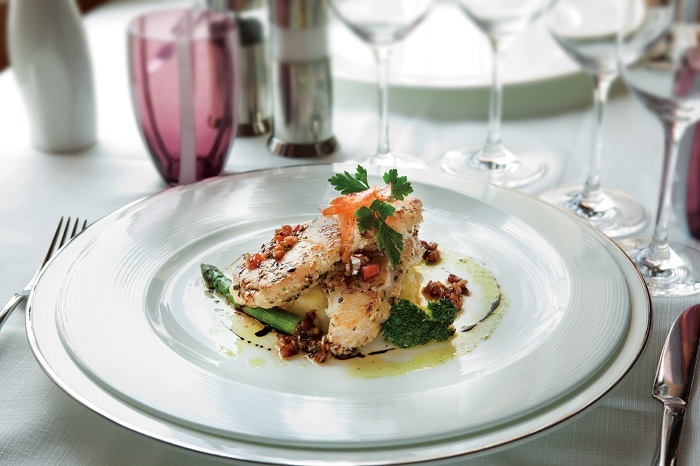 Food is an integral part of cruising, and ships are tempting passengers with celebrity chefs, gourmet cuisine and cookery schools. Here are five ships to whet your appetite. 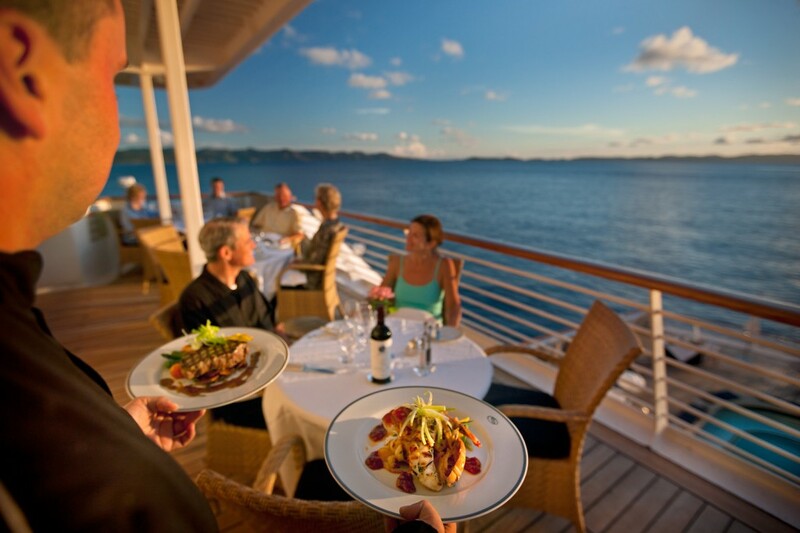 This cruise line has earned a reputation for elegant and refined dining. 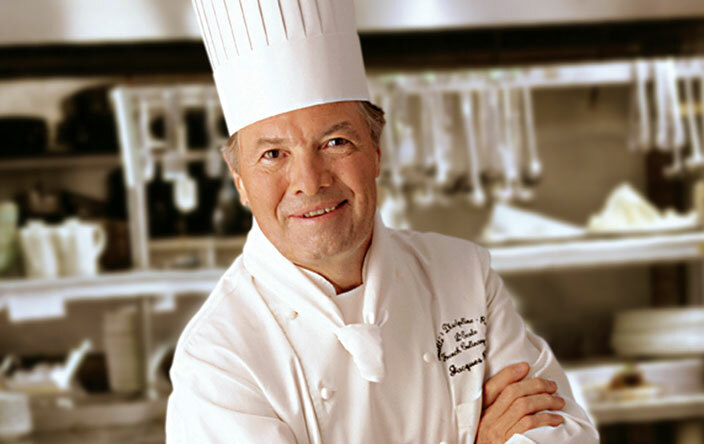 French chef, television personality and author Jacques Pepin is the executive culinary director for Marina, which has an elegant Parisian style restaurant named after him decorated with antiques and art from his own personal collection. 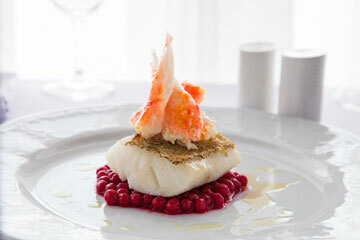 La Reserve restaurant offers gourmet wine pairing dinners, wine seminars and tastings. The most exclusive dining venue is Privee, available for private dinner parties for up to ten people, with meals illuminated by a glittering gold chandelier. Ida Elisabeth Donheim, who worked at restaurants such as London’s three Michelin star Fat duck, is the new wine director who will develop Seadream’s expanding programme of dedicated wine voyages with onboard experts. On any sailing, passengers can expect top-notch fare, such as the ‘champagne and caviar splash’, a beach barbecue served on bone china. Innovative dining choices include a raw food menu, featuring organic and vegetarian ingredients. In some ports guests can go food market shopping with the chef. Guests are spoilt for choice with Crystal’s new ‘artistically inspired’ menus created in collaboration with top culinary experts. Dining options include the Silk Road, featuring the cuisine of the renowned Nobu Matsuhisa with dishes prepared by Nobu-trained chefs. Tastes, which is exclusive to Crystal Serenity, features an open kitchen where guests can watch their meals being prepared. The Vintage Room has tasting menus with fine wine for four to 14 guests. They showcase some of the rarest vintages and these food and wine pairings cost around $1,000. 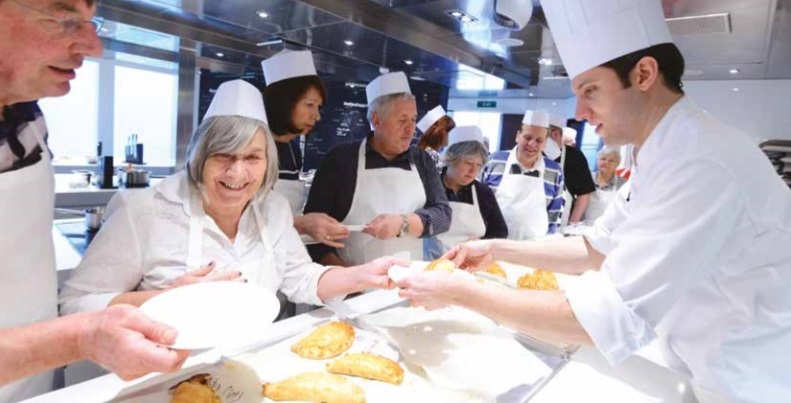 For passengers who prefer to create their own culinary masterpieces, P&O’s flagship boasts the first cookery school on a British cruise ship. It is equipped with stylish KitchenAid appliances and individual work stations, and up to 24 passengers can sign up for lessons with some of the country’s best-loved chefs, including Mary Berry and James Martin. Afterwards guests get to savour the fruits of their labours and on celebrity sailings there are also chef hosted dinners, Q&A sessions and book signings. When it’s time for a break, Britannia’s restaurants include wine expert Olly Smith’s The Glass House and ‘master of spices’ Atul Kochhar’s Sindhu. Its prestigious name is linked to some of the world’s finest hotels and gourmet restaurants, and Silversea has the only Relais and Chateaux restaurant at sea. Le Champagne showcases the wine regions of the world with an exquisite six-course tasting menu of seasonal, regional dishes, created especially for the line’s passengers. 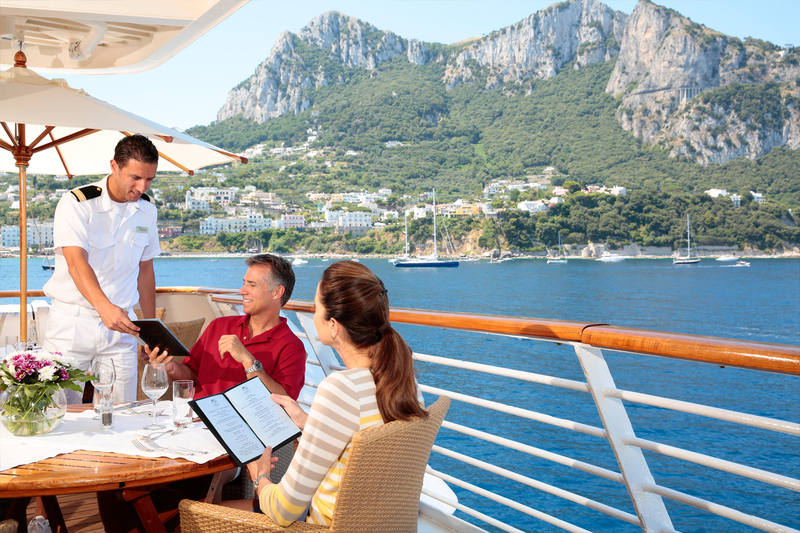 Select sailings are also culinary arts voyages where guests can join a cookery school at sea. This culinary discovery experience offers cookery classes and an interactive programme, hosted by Silversea chef David Bilsland.